Accidents happen in a split second and are often observed from many disparate vantage points. 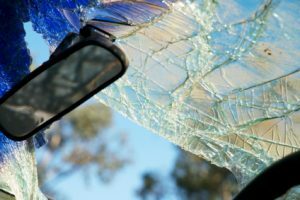 Providing an accurate portrait of how and why a collision occurred is often impossible if you are relying solely on witness testimony and law enforcement reports alone to tell the story. Focus Investigations will begin by expertly interviewing witnesses, the responding law enforcement officials, emergency medical personnel and the victims to gain perspective on what happened. 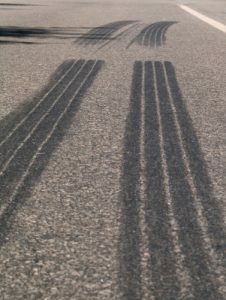 Human perspective is an important aspect of any investigation, but as a stand alone is the most subjective and least scientific; which is why our collision investigators combine their years of on scene law enforcement experience and the power of science to determine how and why a traffic collision occurred. Vehicle Crash Investigation and Accident Reconstruction combine engineering, physics, mechanics, conditions prior to the crash and individual statements to accurately determine how and why an accident occurred. Focus Investigations will perform roadway analysis, vehicle inspections, and confirm weather, lighting and traffic conditions at the time of the crash to accurately reconstruct the events surrounding the collision. And we don’t stop there in pursuit of evidence for your case. Focus Investigations will present the facts of your case so they can be supported and understood not only by the legal team & insurance companies, but also by the private citizens that may be on a jury. In addition to written reports and expert testimony, we have the capability to demonstrate visually through 2D and 3D crash animation the sequence and cause of a traffic collision. Our lead investigator, and the President of Focus Investigations, Neil Gilreath has extensive experience in Collision Investigation and Accident Reconstruction. A retired police officer with more than 20 years experience, Neil was the traffic division supervisor in a jurisdiction that is home to one of the most dangerous stretches of interstate in Kentucky – often referred to as “death hill”. Additionally, Neil also worked with the Kentucky Transportation Cabinet and University of Kentucky College of Engineering; teaching improved incident management to police, fire, EMS and first responders throughout the state. Today, Neil’s values and work ethic are the same. He is a meticulous investigator, still pursuing advanced training to capitalize on new developments and technologies that assist in providing the most accurate reconstructions available. When you work with Neil Gilreath and Focus Investigations, you can rest assured that you are working with the best. Contact Focus Invesigations to launch your Collision Investigation.